Groover was a solo operator, but there's strength in numbers. The members of the "Felony Lane Gang," according to the U.S. Immigration and Customs Enforcement (ICE), would steal ("smash and grab") checkbooks and driver's licenses from cars throughout the U.S. Then, they would drive through the "felony lanes" of banks (the lanes furthest from video cameras and tellers) and cash checks using the stolen personally identifiable information (PII). They stole more than $1 million from 250 victims in five years. 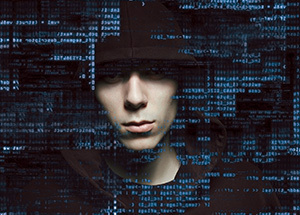 Whether it's a single fraudster, or an organized gang, these identity theft fraud cases are representative of thousands of identity theft cases that victims, law enforcement agencies and other organizations report to the Federal Trade Commission (FTC) and are listed in its annual Consumer Sentinel Network (CSN) Data Book, which it began in 1997. According to the CSN, it received more than 79,089 fewer identity theft complaints in 2013 from 2012 (369,132 to 290,056) — a significant decrease. However, identity theft complaints still rank as the FTC's No. 1 complaint. Though it appears that identity theft has somewhat abated, it still continues to be a major problem for consumers and businesses. While these cases and the forum point to identity theft as a major problem, the number of complaints decreased in 2013. Does this really show a decline in actual identity theft?